As you know, I’m a mentor at various idea-stage Startup Incubators around Austin, with my help revolving around helping startups win or raise money through pitching and investor decks. One of them is Founder Institute, which my friend Martin Martinez brought to Austin. He asked me and Chris Michael Harris, host of the Entrepreneur Hour podcast, to livestream interviews with graduates of the 3rd Cohort, as well as Directors of the program. This short interview is with Paul O’Brien, one of the Directors, and the CEO of MediaTech Ventures. 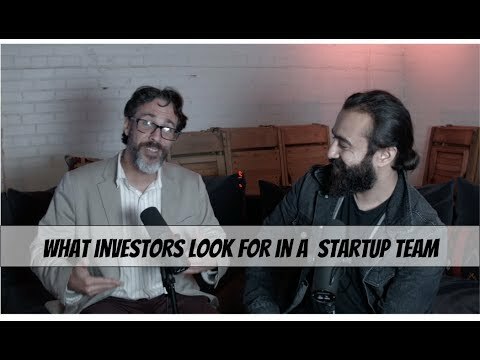 I ask him about the state of Venture Capital in Austin, the 3 types of people investors look for in a team they want to fund, and what idea-stage startup teams. This was recorded right before an event, so please excuse the background noise. Stephen Harrigan is a novelist, journalist and screenwriter. Among his eleven books of fiction and non-fiction, the best known is The Gates of the Alamo, which was a New York Times bestseller and won numerous awards. Harrigan’s newest book, to be published in October 2019, is a sweeping history of Texas from earliest times to the dawn of the 21st Century. Megan Harney is the founder and CEO of MIDAS Education. She is a teacher whose experiences in the classroom — which included building her own applications — showed her the power of student performance analytics. Eduardo Briceño is the co-founder and chief executive officer of Mindset Works, a leading provider of growth mindset development services and resources that, since 2007, has supported thousands of schools, districts and companies to develop growth mindset cultures. Jeb Bush was born on February 11, 1953 in Midland, Texas.When he was six years old, the family relocated to the Tanglewood neighborhood of Houston, Texas. The nickname "Jeb" is composed of his initials J.E.B. (John Ellis Bush).